The Golden Globes wasn’t all about Ricky Gervais’ unique brand of clever, edgy, and insultingly lazy humor, though, it was also about awards. The laugh-a-minute gags of Ridley Scott’s The Martian won for Best Comedy and star Matt Damon won Best Actor In A Comedy, Jennifer Lawrence won Best Actress In A Comedy for Joy, and Mozart In The Jungle won for Best TV Comedy. In the drama world, Mr. 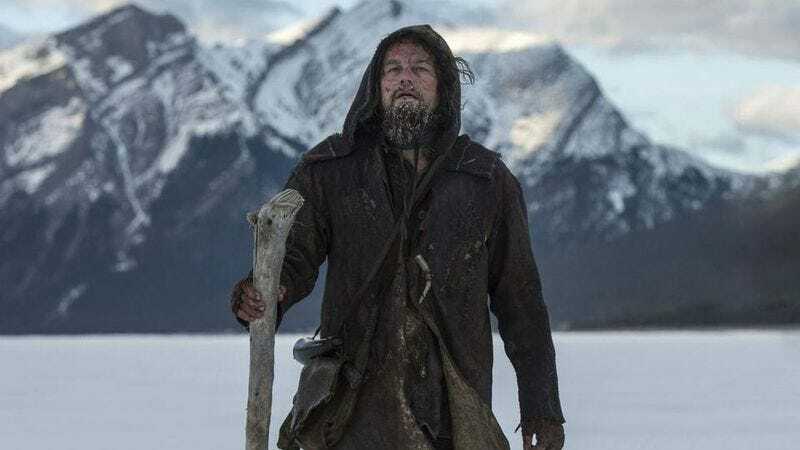 Robot won for Best TV series, the recognition-starved Leonardo DiCaprio won for Best Actor, Brie Larson won for Best Actress, and The Revenant won Best Picture and Best Director. The rest of the winners are below, unless you’re a famous British comedian who is too cool to care about anything.